Every day live on Good Morning Britain, Susanna Reid is the epitome of professional broadcaster. Cool, calm and collected, she’s understandably one of the UK’s top on-screen journalists. But of course every pro has their slip-ups, and even Susanna Reid made an awkward mistake live on Tuesday’s episode of GMB. 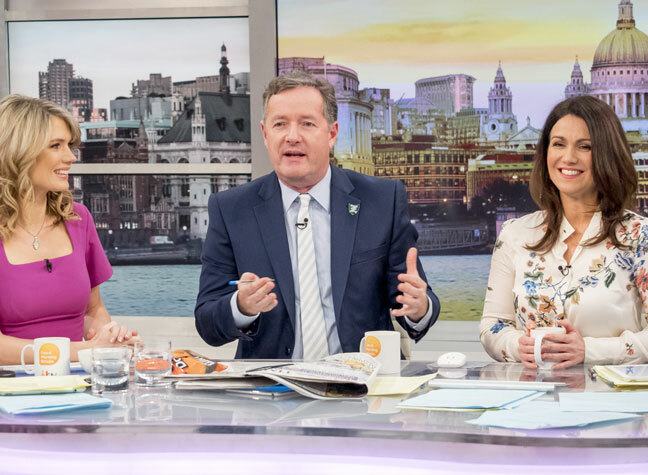 Susanna and co-star Piers Morgan were in the midst of paying tribute to the Suffragette Movement – with Piers deciding to deliver an impassioned speech on the topic. However, Piers’ speech came to an abrupt halt, when the pair noticed that Susanna’s phone was going off. However, Susanna quickly took control of the situation, handing her phone to a member of the behind-the-scenes crew to ensure the blunder didn’t happen again. Susanna defended her slip-up by revealing that she’d just got a new phone, and wasn’t yet sure how to work it. Of course, Piers hit back with a remark, stating that he was keen to continue with his interrupted speech, “It’s pretty obvious how to work it. Now I’ll go back to my Suffragette speech!”. This awkward on-screen moment didn’t go unnoticed by Good Morning Britain viewers either, many of whom took to Twitter to defend Susanna’s easily-done mistake.